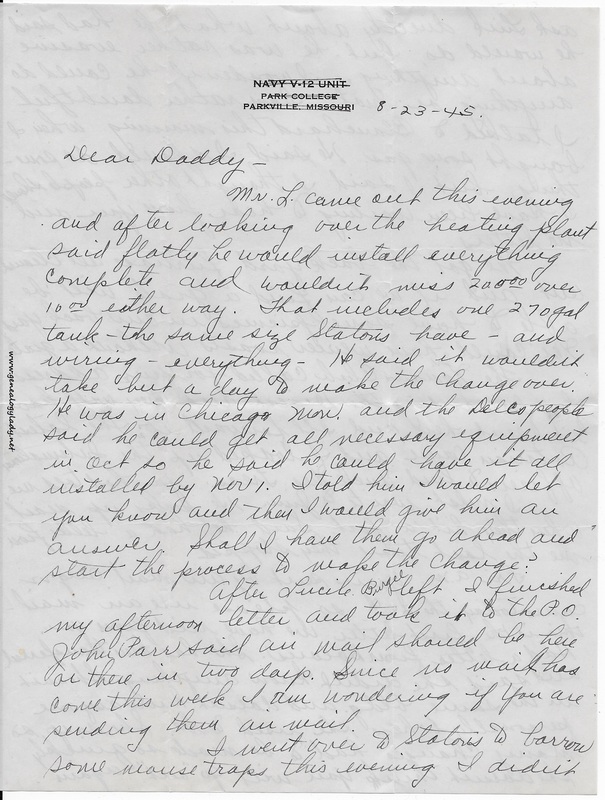 Mr. L came out this evening and after looking over the heating plant said flatly he would install everything complete and wouldn’t miss $200.00 over $10.00 either way. That includes one 270 gal. tank – the same size Statons have – and wiring – everything – He said it wouldn’t take but a day to make the change over. He was in Chicago Mon. and the Delco people said he could get all necessary equipment in Oct. so he said he could have it all installed by Nov. 1. I told him I would let you know and then I would give him an answer. Shall I have them go ahead and start the process to make the change? 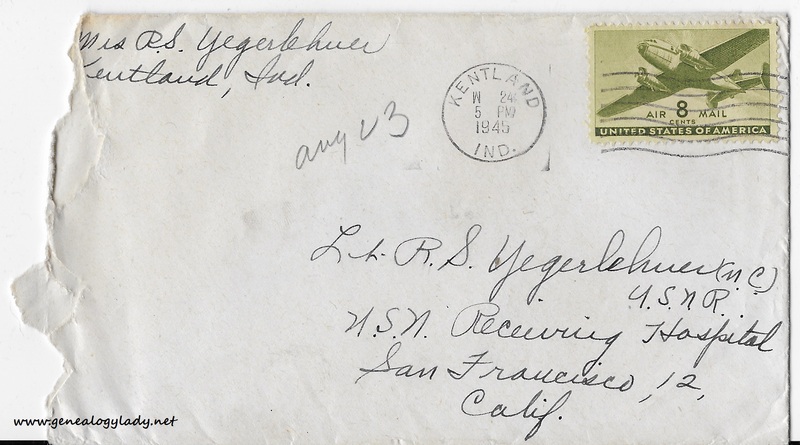 After Lucile Burgee left I finished my afternoon letter and took it to the P.O. John Parr said air mail should be here or there in two days. Since no mail has come this week I am wondering if you are sending them air mail. [page 2] ask Link directly about what he had said he would do, but he was rather evasive about anything. I wonder if he could do anything or not. I am rather doubtful. I talked to Blanchard this morning when I bought some gas. He said I should do something, but I said I thought other people should. 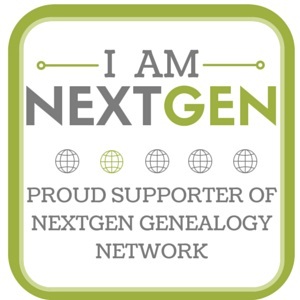 I have been waiting to hear from you and no letters. We got the back yard furnace all cleaned out and if we can find a grate will be able to have some picnics in our back yard. We could have wiener roasts without a grate. The Jr. Woman’s Club called for your address for forwarding the Digest and they will have it sent here and I’ll forward it. The latest Rotarian came and I looked up the International Officers to find Uncle Wes. Treas. You had told me. I must write to Jim. He picks up mail when they hit a port. Said he had a letter from me the last time they stopped. 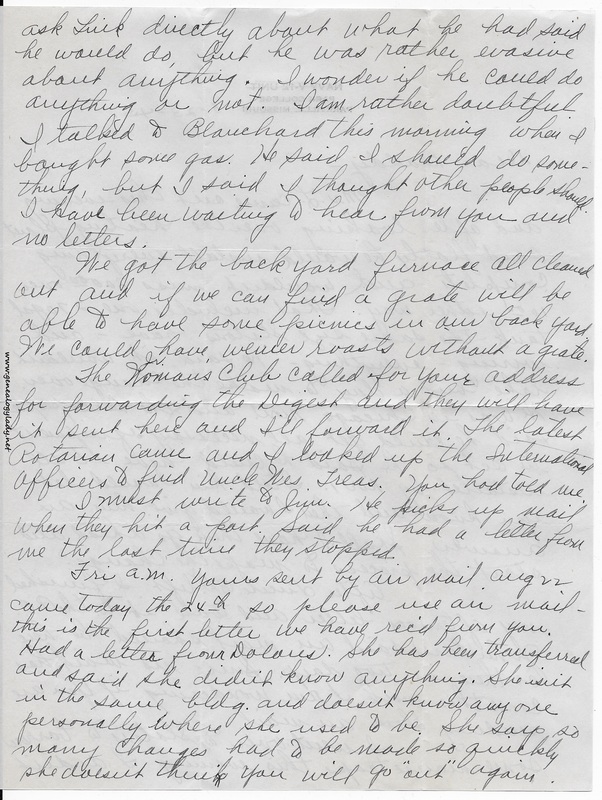 Fri. a.m. Yours sent by air mail Aug. 22 came today the 24th so please use air mail – this is the first letter we have rec’d from you. Had a letter from Dolores. She has been transferred and said she didn’t know anything. She isn’t in the same bldg. and doesn’t know anyone personally where she used to be. She says so many changes had to be made so quickly she doesn’t think you will go “out” again. [page 3] John has started a fire this morning. We didn’t watch it closely enough yesterday and it went out. I will be so glad to be rid of that firing business along with all the dirt involved. I do hope you get to take a draft to Great Lakes. Just wish they would do something about releasing. Surely something will start before long. [page 4] Rev. Servies yesterday and he said he thought it would be a good thing for John to take lessons so he can help at church when they may need him. David is playing with Betty Zell this morning in their sand pile. Last night when Chet Loughridge was here I had gone to the basement with him to show him the furnace and I heard David at the front door calling for me. I didn’t want to go up so called for John to go help him – by the time John got to him it was too late – John came down & asked me if I could come – I said “take his clothes off and give him a bath” – well he didn’t want to argue with me in front of someone so he took care of David. However, he undressed him in the bathroom downstairs and left the mess there and took him up to the tub to bathe him. I think he used yards of toilet paper to clean him off, from the looks of the toilet. He told David this morning he was “bachie” last night. David can let himself out the front door but can’t get in. We had corn day before yesterday and it was too laxative for David. I am not going to cook any more. I am enclosing some “stuff” from Meade. 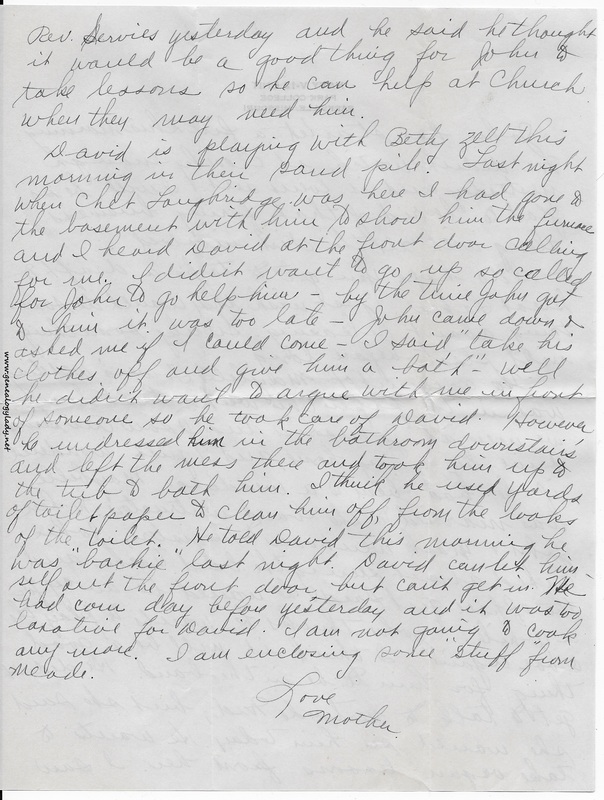 This entry was posted in Foster, Genealogy, World War II Letters, Yegerlehner and tagged Chet Loughridge, David A. Yegerlehner, Dolores L. (Yegerlehner) Stevens, Elizabeth Zell, genealogy, Gertrude M. Smith, Gladys R. (Foster) Yegerlehner, Indiana, James L. Foster, John F. Yegerlehner, John Parr, Johnson, Kentland, Lloyd K. Staton, Lucile Burgee, Mark A. Yegerlehner, Maybelle Towers, Mead Johnson, Mr. Blanchard, Raymond Cole, Rev. 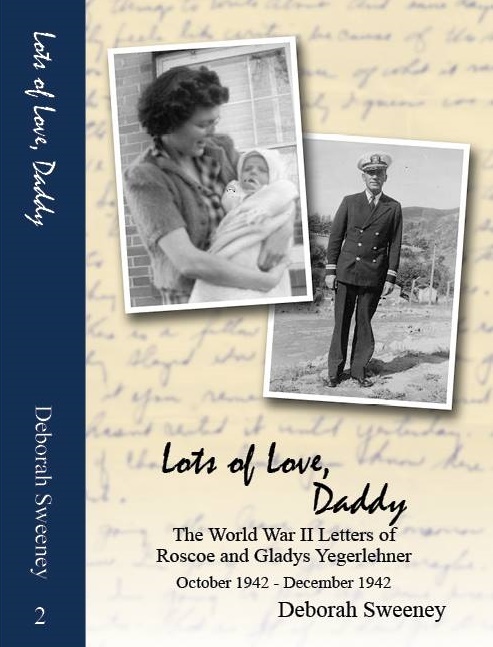 Voris Servies, Roscoe S. Yegerlehner, World War II, World War II letters on April 15, 2016 by Deborah Sweeney. I guess the conversations with Link and Blanchard will forever be a mystery. ” He wants to take organ lessons from her. I saw Rev. 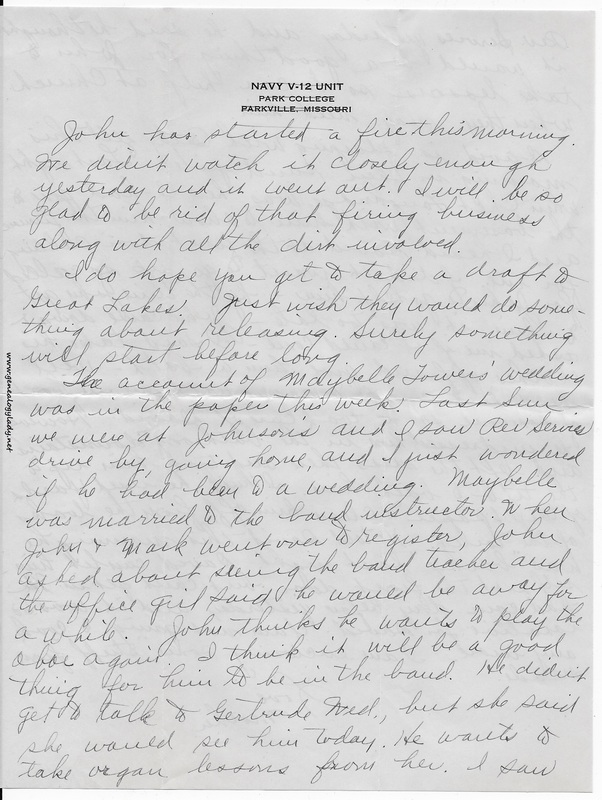 Servies yesterday and he said he thought it would be a good thing for John to take lessons so he can help at church when they may need him.” I do remember John playing the organ in church. TOO MUCH INFORMATION DEPARTMENT: the last paragraph! 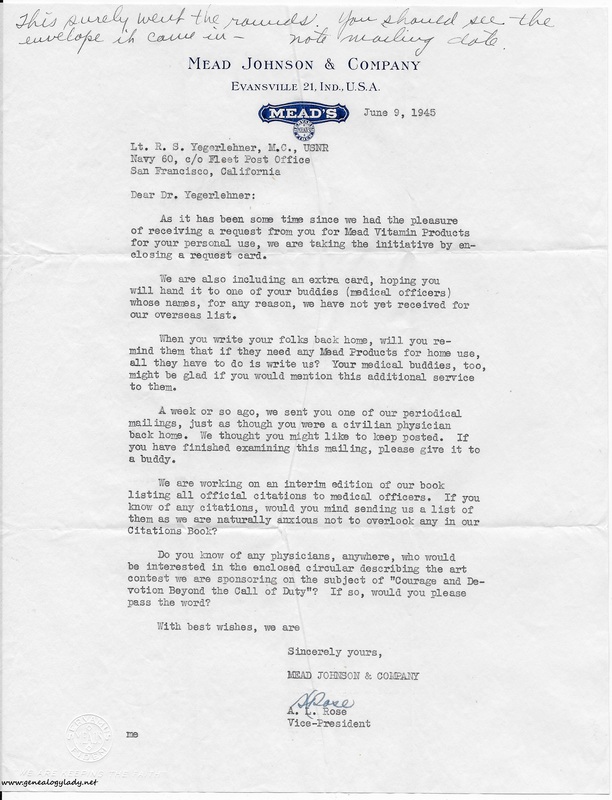 Interesting letter from Mead Johnson: all the talk about buddies.